Back in August, the hubby and I set out to turn our create a wall art gallery for our living room. The house had been freshly painted earlier in the spring and we were left looking at a blank wall. We purchased a few wall art pictures that we thought would look good with our new living room decor. I even printed a few pictures of the kids with the intentions of framing them and adding it to my wall art gallery. Fast forward to the Fall and still no art on the wall. Those wall art pictures literally sat in a bag in the corner for months. I knew I would get to it, I just didn't know when. 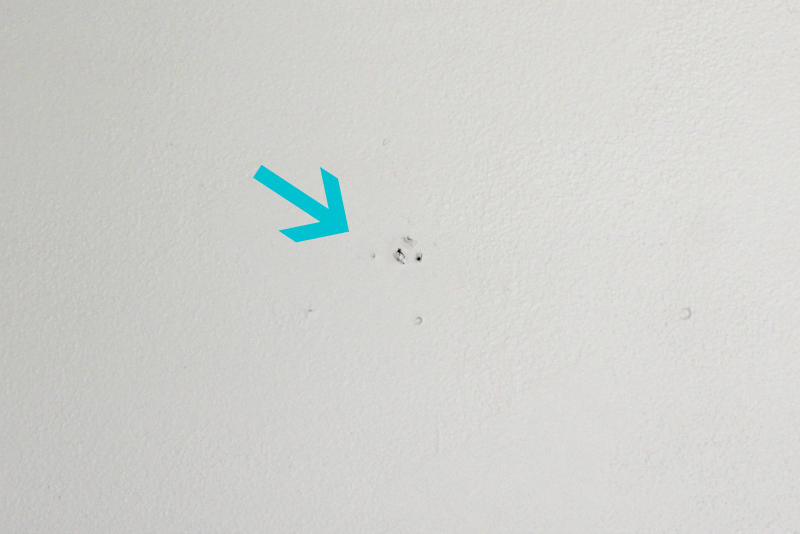 I attempted to at least make a go of it and saw that first, I need to patch those pesky holes that we missed before we painted. 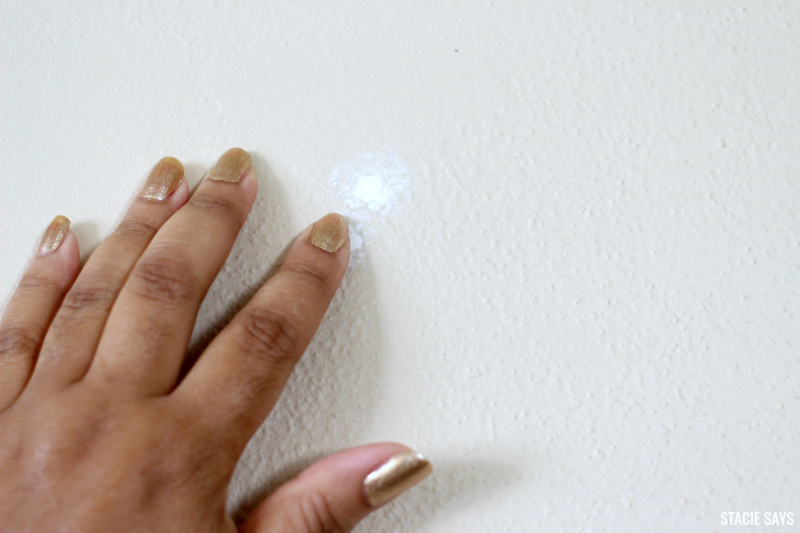 I remember watching the Fab Life TV show last year and they showed how easy it was to fill a nail hole with just your finger so I purchased hole filler and got to work. Then I had to paint over the patches which led to more time going by and still no wall art gallery. 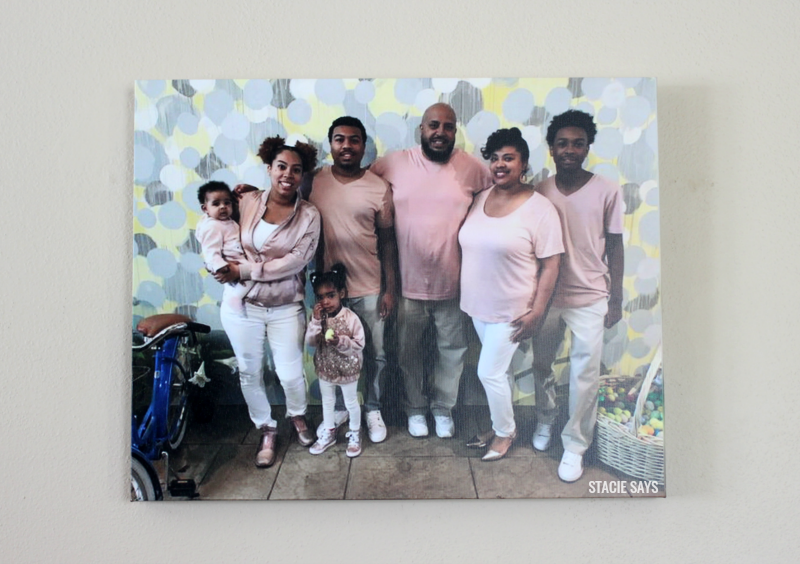 Then I was contacted by Canvas on Demand, an online website that will take your pictures and put them on a large canvas to make your own customized wall art. They wanted me to try the service out for myself. This is just what I need to get my wall art gallery finished. I signed up a.s.a.p. I decided that I wanted to make our family picture the focal point and chose our Easter picture. I think the canvas looks nice. It was a bit blurrier than normal but I suppose that's due to the pixels. I was sort of rushed so I didn't get the chance to edit the picture the way I would have wanted to beforehand. I would have centered the picture better and made it a custom Sepia filter. All in all, I like the look and the 16" size will be the center of attention. 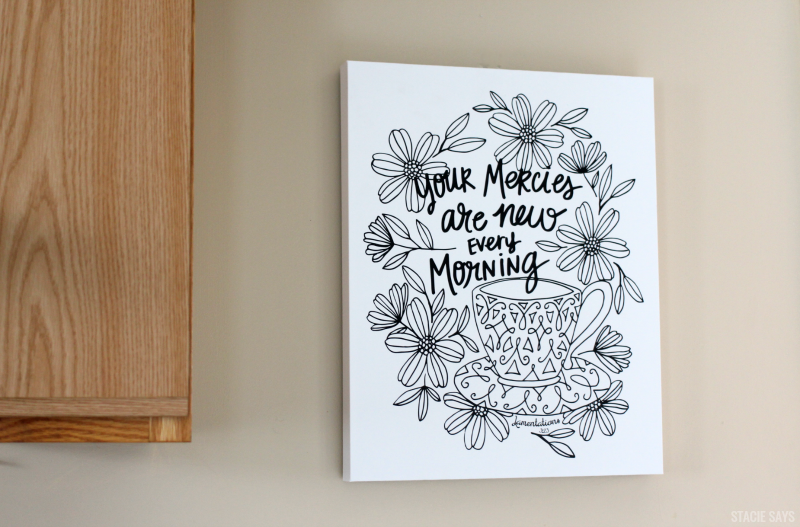 With Canvas on Demand, I was also able to choose a coloring canvas and really liked this one since it was based on scripture. I will eventually color it to match my kitchen decor, but I think it looks just as nice in black and white. Our wall art gallery is coming along quite nicely. I plan to add pictures of the kids and gbabies but that's it. What do you think? Have you tried making a wall art gallery before? A wall art gallery is a fantastic idea. I love your family photo. I think it's a perfect focal point. I might have to try something similar to your setup in the future. Thanks for sharing. I think the blur adds character to the picture and your wall gallery is coming along beautifully! Great job. Sometimes you just have to give it a go. I did a gallery wall in my house by randomly hanging our portraits and it turned out great. This looks beautiful! Since moving house I have been putting off decorating my room bc I wanted something unique and creative- I have definitely been inspired by this!!! I have a bunch of blank walls to fill. A gallery is a nice idea! 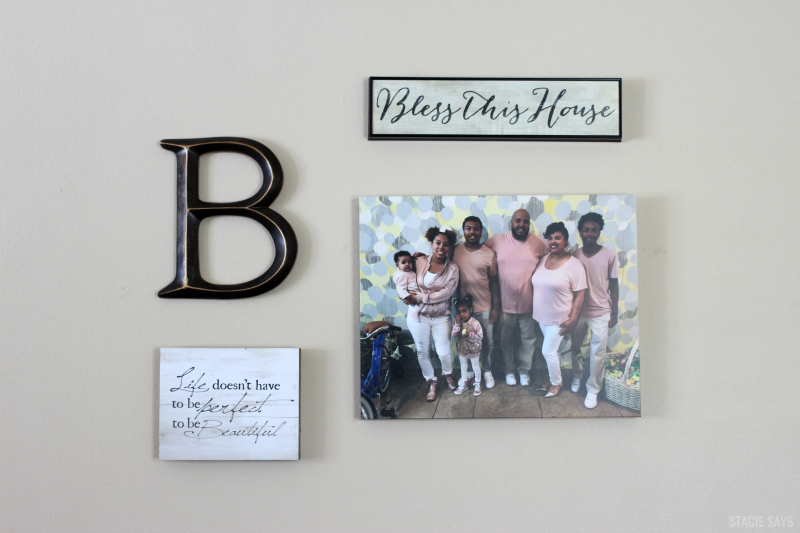 I really need a larger canvas photo in my house - actually I need a ton more, and I'm always looking for great ways to show off those photos that I love. Awww it came t so cute. I do love your canvas print of your family. Will you be adding more? I love the wall! And I love the family picture...we need to take a family picture like yesterday!!! I keep telling my mom she needs a wall like this!! I love decorating with large Canvas! I need to add more! Your wall gallery is off to a good start! 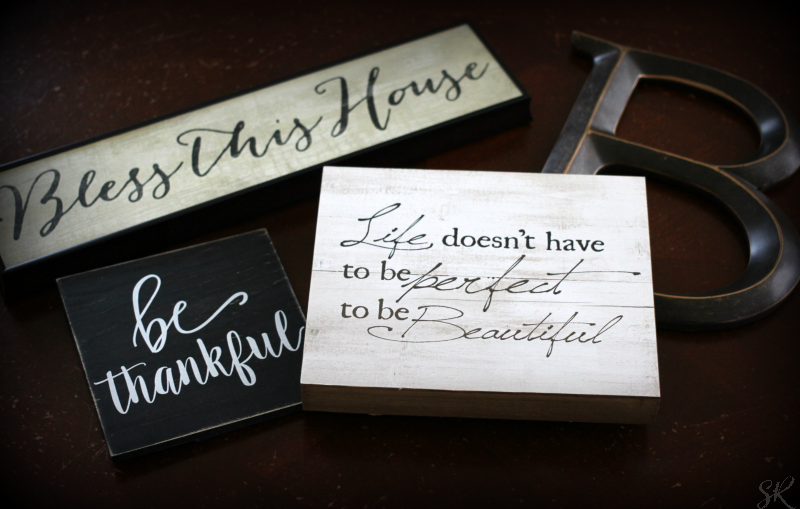 I've been wanting to do one in our loft, but I'm not sure what to put up yet.